Established in 1981 by the Dallas Bar Foundation, the Sarah T. Hughes Diversity Scholarship was established to increase the diversity of the legal community in Dallas. The scholarship was originally awarded to exceptional minority student leaders accepted to the SMU Dedman School of Law. These law students, upon graduation, planned to practice law and serve the community in Dallas. In 2015, the scholarships were expanded to include minority students attending the other two area law schools: UNT Dallas College of Law and Texas A&M University School of Law. The Hughes scholarships help to create a cycle of success in our community. Many of the recipients are the first in their families to graduate from college. To date, the Dallas Bar Foundation has awarded over $2.1 million in Hughes scholarships. Originally named the Diversity Scholarship, the name was changed to the Sarah T. Hughes Diversity Scholarship in 1982 in recognition of Judge Hughes' outstanding contribution and support of the Dallas Bar Foundation, both monetarily and as a Dallas Bar Foundation trustee. The suggestion for the name change was met with enthusiastic approval and unanimous consent. Judge Sarah T. Hughes often remarked upon a formula she used to live her life - "Pick out your goal, and then use determination and courage to reach it." As Sarah Tilghman Hughes believed, she lived. Each year, the Dallas Bar Foundation honors students who share Judge Hughes' traits. Past Hughes Scholars have included many accomplished law students and lawyers. The Hughes Scholars have distinguished themselves in many ways including being named valedictorian in law school, serving as a member of the judiciary, volunteering for the local and state bar associations, donating their time to serve area nonprofit organizations and mentoring others. One of the scholars commented, "this scholarship is a source of empowerment because it places responsibility in the hands of those who have been traditionally under-represented in the legal community." Sarah Tilghman Hughes (August 2, 1896 - April 23, 1985) was the United States District Court judge who swore Lyndon Johnson into the office of President on Air Force One, becoming the first - and to date the only - woman in U.S. history to swear in a U.S. President, a task usually executed by the Chief Justice of the United States. The photo of Judge Hughes administering the oath of office remains the most famous photo ever taken aboard Air Force One. Born Sarah Tilghman in Baltimore, Maryland, she was the daughter of James and Elizabeth Haughton Tilghman. After graduating from Goucher College, she taught science at Salem Academy in North Carolina for several years. In 1919 she moved to Washington, D.C., and returned to school to attend the George Washington University Law School. She attended night classes and worked as a police officer during the day. She moved to Dallas, Texas in 1922 with her husband, George Hughes, whom she had met in law school. She practiced law for eight years in Dallas before becoming involved in politics, first being elected in 1930 to three terms in the Texas House of Representatives. In 1935, she accepted an appointment as a state judge from Governor James Allred for the Fourteenth District Court in Dallas, allowing her to preside over trials in which women were not yet allowed to sit as jurors. Judge Hughes was re-elected and remained at that post until 1960. In 1961, President John F. Kennedy appointed her to the federal bench in the Northern District of Texas. 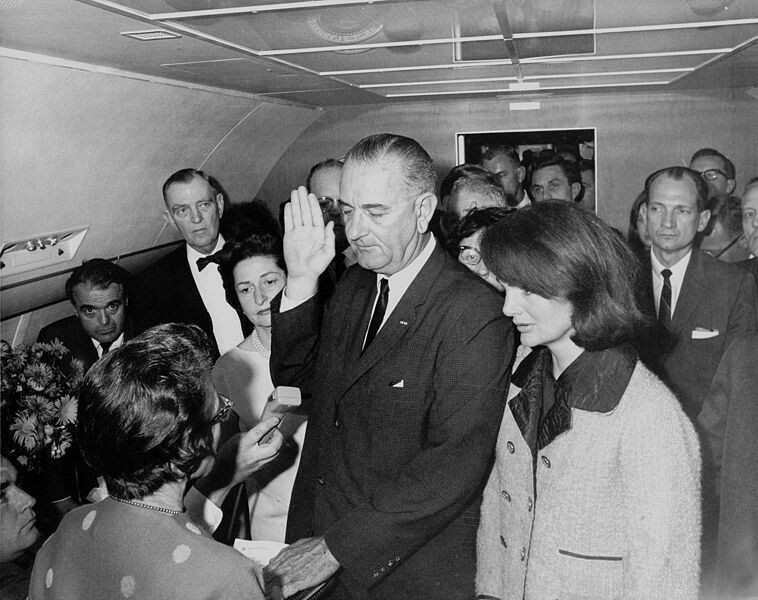 Two years later, on November 22, 1963, she was called upon to administer the oath of office to Lyndon B. Johnson after the assassination of President John F. Kennedy. The application can be obtained by calling 214.220.7487. The scholarship application is available by clicking on the tab above or at the SMU Dedman School of Law Admissions office. Deadline for submitting an application is February 15th each year.